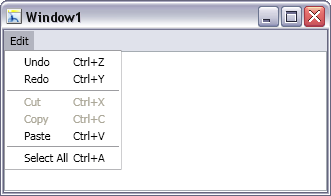 WPF Commanding is a new way to wire-up UI events. This post will demonstrate how this works by using a TextBox and a standard Edit menu. That’s all you need. No coding required! Richard Griffin has an excellent blog post on the subject here.